The thin, breathable and waterproof champion of your mattress. The eve protector is made of 100% cotton and a Neotherm® membrane. Delivery - we deliver the protector straight to your doorstep, for free. Our standard delivery time in the Republic of Ireland is 2-3 working days. No-hassle returns - we’ll send you an email with a label to print out. Just attach it to the original packaging and take them to a UPS drop off point. The protector must be unused. We'll refund you once they come back to us. 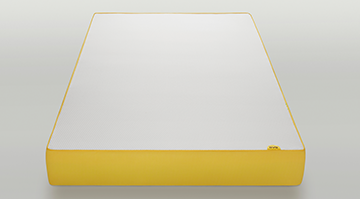 The protector fits all mattress types and is available in 9 different sizes. It’s ultra thin and works like a fitted sheet. No hassle or stress when making the bed. In fact, you won’t even know it’s there. Own the eve mattress? Even better. 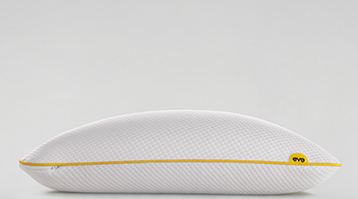 The protector supports all of the mattress’ benefits, like temperature regulation and that typical eve bounciness. Waterproof. The protector is 100% waterproof, so nothing can harm your mattress. Breakfast in bed, spilled coffee, no problem. The cover is OEKO-TEX® 100 Class 1 certified. That means it’s free of nasty chemicals. Even babies can sleep on it. The protector is 100% waterproof and incredibly breathable. You can wash it in the machine at 60 degrees and it won’t crease so you’ll never need to iron it. That’s one less job to do. This layer is made of a Neotherm® membrane. It makes the protector waterproof. The topper is extremely thin and breathable. The protector is low maintenance, no matter if you have to change the bed or put it into the wash. It’s all pretty straight forward. At the same time it’s so thin, you’ll hardly realise it’s there. And if you spill something, you’ll be glad it is. The protector works like a fitted sheet. You can simply put it over your mattress. No annoying loops or tucking in required - everything stays neatly in its place. When you unwrap the protector for the first time you might be surprised at just how thin and soft it is. In fact, it is so thin and cosy, you could even use the protector without a sheet. The protector supports all benefits of the eve mattress. It regulates the temperature so you’re never too hot or too cold. It even supports the bounciness of the eve mattress. Like all eve products, we only used the very best materials to make the protector. The top layer is made of 100% organic cotton. It’s extremely soft and cosy and absorbs moisture and sweat. We only used combed fibres. That means that we got rid of the smaller, fluffier fibres and only work with the long, high quality ones. These longer fibres not only make the material incredibly soft, but durable too. The bottom layer is made of a Neotherm® membrane. This makes the protector both waterproof and breathable. 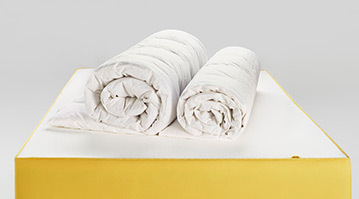 The Neotherm® membrane also protects your bed from dust mites. Perfect if you have allergies. Premium memory foam at an affordable price. More supportive than feather or fibre pillows, with benefits for circulation and muscle alignment. The ideal balance of softness, breathability and strength. Designed for all seasons and made from the highest quality duck down.